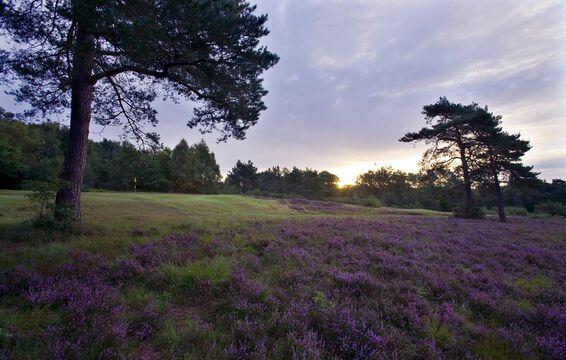 The High Weald Area of Outstanding Natural Beauty (AONB) Management Plan identifies that one of the top five issues facing the small area of remaining heathland (1.3% of the AONB) is "Environmental Degradation". It is described as: – neglected fields and heaths scrubbing up, increasing run-off and agrochemical inputs, loss of key habitats (e.g. meadows and heaths). 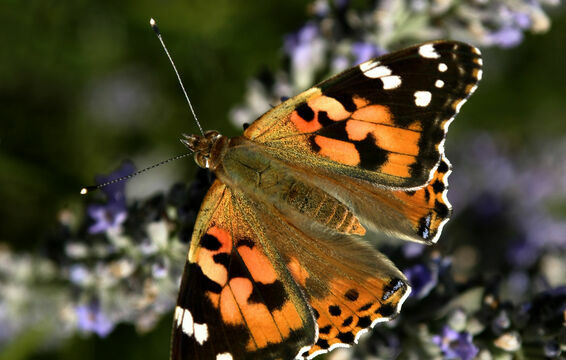 Rationale: To improve the condition and connectivity of fields and heaths and their associated and interrelated habitats (such as hedges, woodlands, ditches, ponds and water systems) for wildlife. 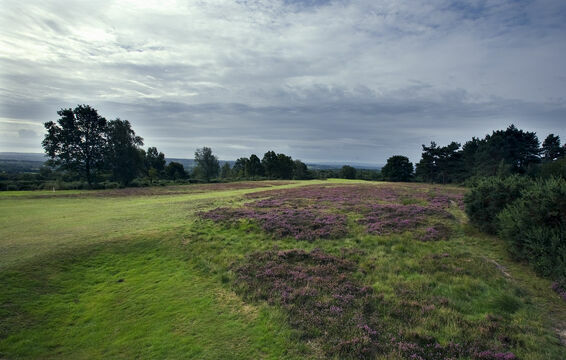 They state that: The High Weald has 1930.5ha of Heathland, 65.5% of which is on Ashdown Forest. The AONB covers an area of 1461 sq. km. This means only 1.32% of the whole AONB is heathland - an area they admit is diminishing - against 24.6% of the area being woodland. 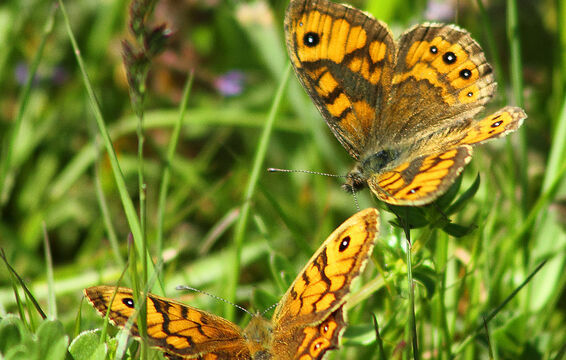 The heathland total is even small in comparison with SSSI's of which there is nearly three times as much area and is only a sixth of the area devoted to Local Wildlife Sites. 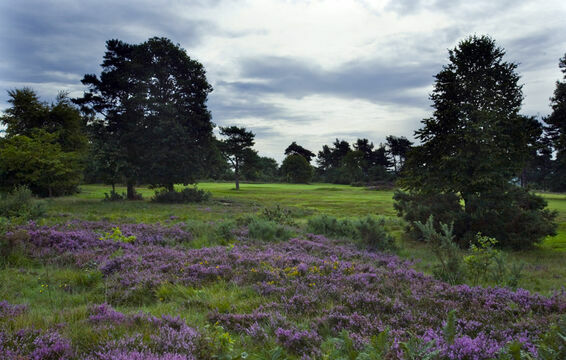 The continued professional maintenance of Crowborough Common by the dedicated staff of the landowner, Crowborough Beacon Golf Club, is therefore crucial to the on-going preservation of this valuable environment. 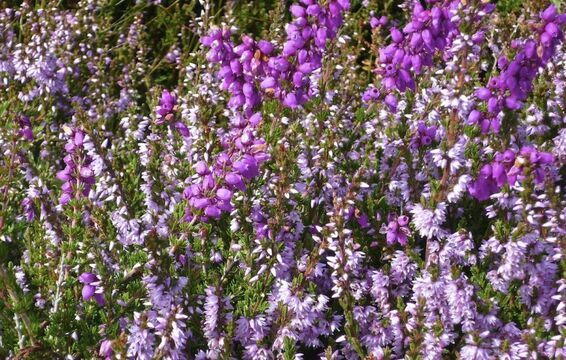 Dry heathland is typically dominated by ling or heather with bell heather and dwarf gorse, interrupted by some large patches of European gorse and in places invading birch; Crowborough is no different. Dry heaths support breeding populations of Dartford warbler, nightjar and woodlark, and in winter, many other species of European importance, as well as important invertebrate communities, often associated with bare, dry ground, such as heathland flies, beetles, solitary wasps and bees and spiders. Both smooth snakes and sand lizards are found on the heaths. 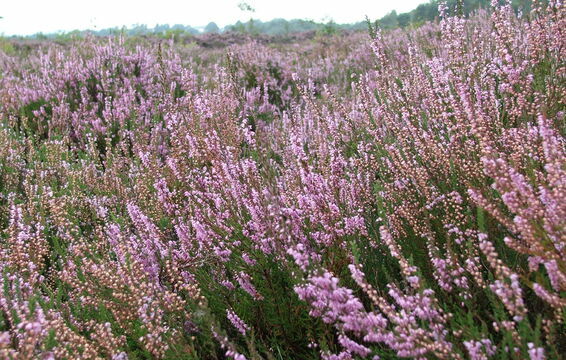 Wet heaths and bogs have a range of plant species, with cross-leaved Erica tetralix and purple moor grass common, Molinia in slightly drier conditions and Sphagnum species where the ground is wetter. 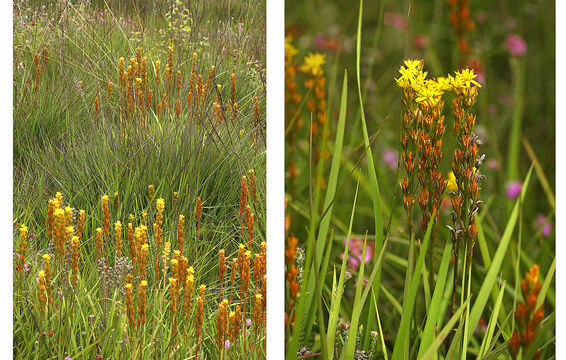 Several rare plant species including brown-beaked sedge, marsh clubmoss and rare Sphagnum mosses also occur. These wetter areas are of particular interest due to a range of groundwater conditions, physical and hydrological conditions and varying former managements. 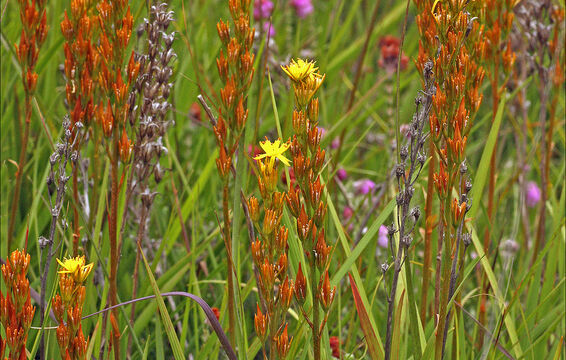 There is also evidence of the rare Bog Asphodel. 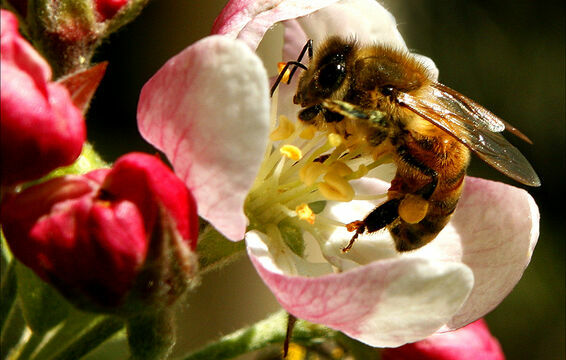 i) Pioneer: Plants under three years old, the majority seedling with a few branches on stems. A canopy height of 3-10cm, open with more than 50% bare ground when looked down on from above. 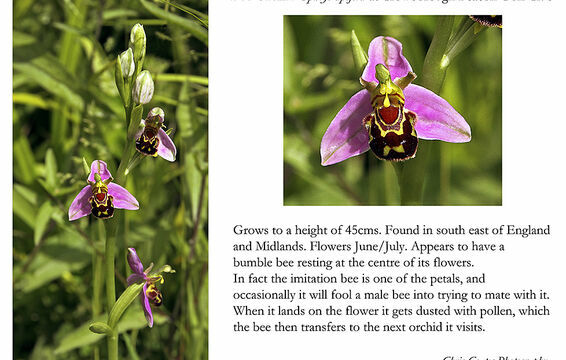 All three heath species may be present, depending on soil humidity. However, on dry warm sites Erica cinerea is well represented whereas on wet sites Erica tetralix is well represented. ii) Building: Plants with over three years’ growth, but generally under ten. 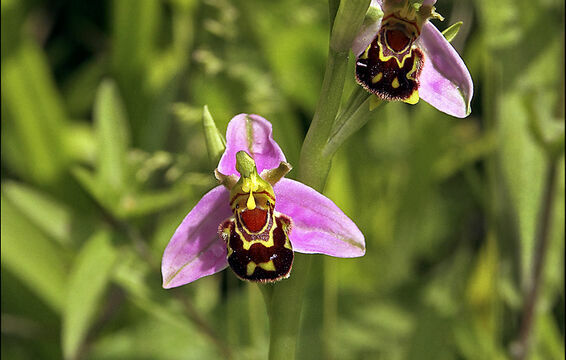 These plants are multi-stemmed with a canopy height of 10 - 25 cm and closing. Less than 50% of the ground is left bare, and hence, very little bare ground visible from above. Erica species are often dominant, especially in warm dry areas (Erica cinerea). iii) Mature: Plants between ten and thirty years old, but in full growth with 4+cm extension growth annually, a canopy height of 25+cm and closed. 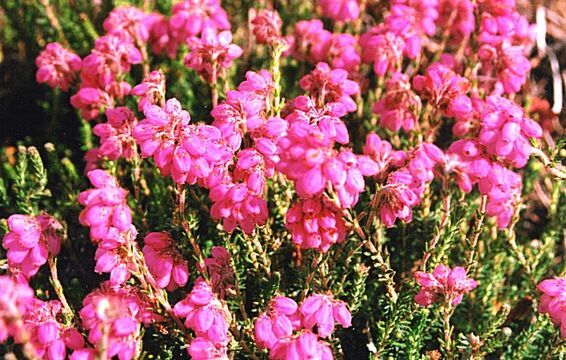 On a dry and humid heath Calluna vulgaris is often dominant, if set on a wet heath however, Erica tetralix may remain dominant. iv) Over-mature: Plants over 30 years old which are starting to senesce due to poor nutrient movement through stems which are very brittle and have a woody feel, extension growth is less than 3cm annually. The canopy height is now decreasing year on year and opening up as the stems die. 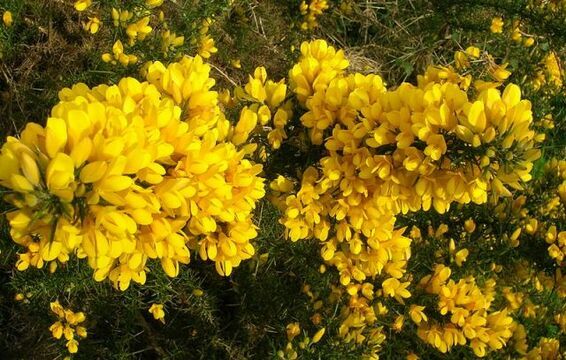 Gorse (Ulex europaeus) is part of the scrub layer but generally found outside the woodland edge. Gorse stands are particularly important for heathland birds and provide food, song posts and for some species nest sites, as well as sheltered foraging conditions in winter. 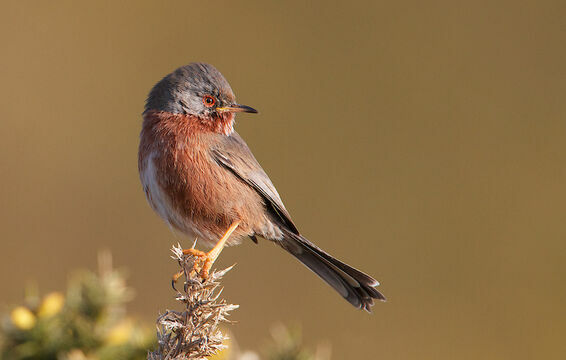 Gorse stands are important for Dartford Warblers, Stonechats, Yellowhammers and Linnets on heath such as Crowborough. 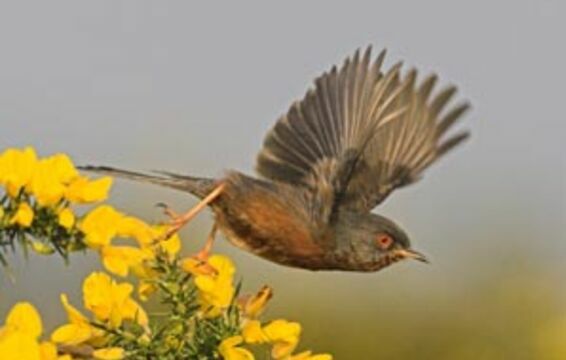 Warblers are highly territorial throughout the year, when stands of gorse are scattered across the heath, it provides the birds with maximum territorial opportunities. 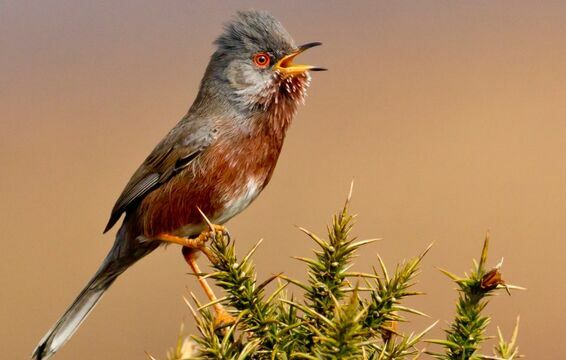 Warblers in territories with gorse are less vulnerable to human disturbance than those within heather territories, although they do not use large blocks of gorse and often roadside gorse can result in Warbler traffic casualties. 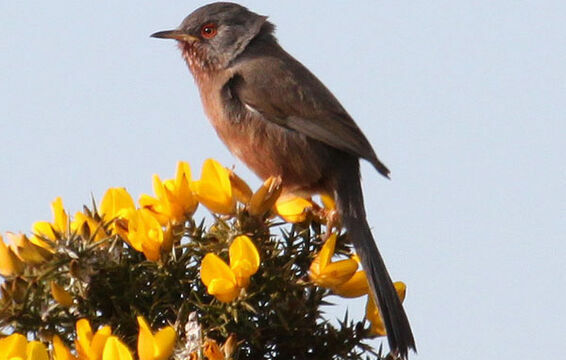 In order to provide the best habitat of gorse for the Dartford Warbler foraging in hard winter weather, an 8-12 year coppice cycle is undertaken at Crowborough. 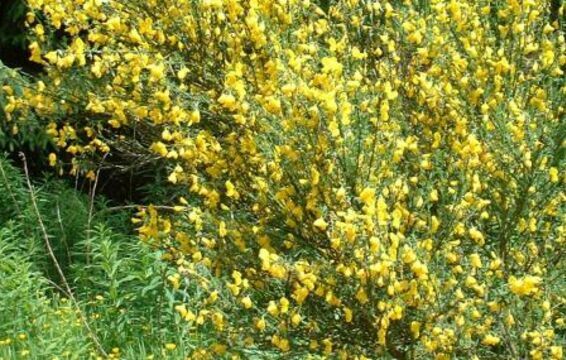 Broom (Cytisus scoparius) is a large, deciduous shrub, similar in appearance to Gorse, but without the spines. 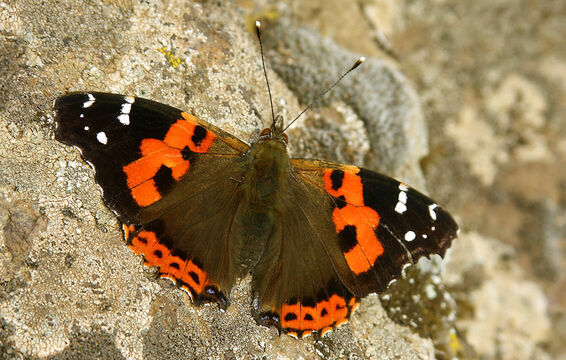 This member of the pea family is common on heaths, in open woodlands and along hedgerows. Its bright yellow flowers appear in spring, from April to June, and smell of vanilla. It is quite likely that Broom got its name from the fact that its long, whip-like stems were cut and tied together to make brushes. 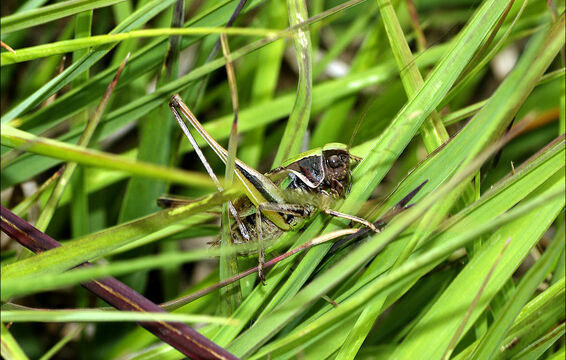 Although a number of similar species were also used in this way, Broom created the best brooms! 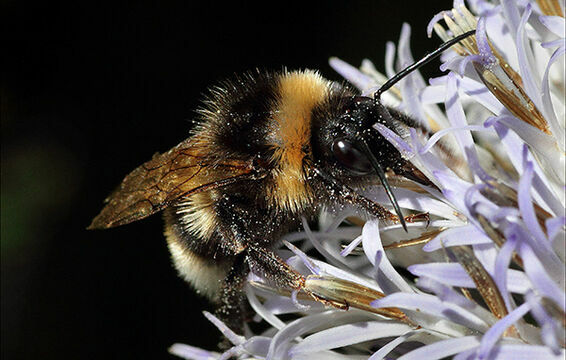 Found on heathlands, open woods and on mountain sides, it is widespread in central and southern Europe. Bracken is also a part of a number of other heathland and woodland communities, ranging from thick beds to scattered fronds. 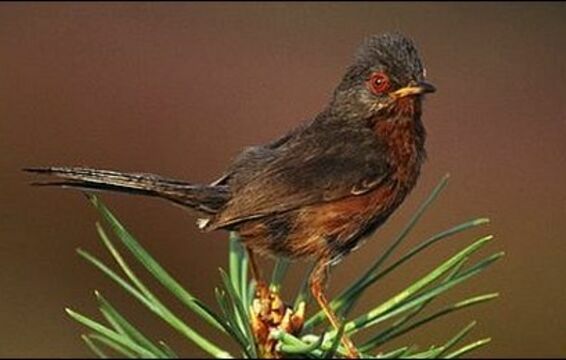 Bracken can provide cover for small mammals and breeding birds such as the Stonechat, the Tree Pipit and the Nightjar. Bracken is the food plant for a limited number of invertebrates including Sawflies, True Flies, Moth Larvae and various bugs. However, dense bracken shades out other plant communities, it can increase a fire hazard, it can harbour ticks and it can provide a substantial barrier to recreational access. 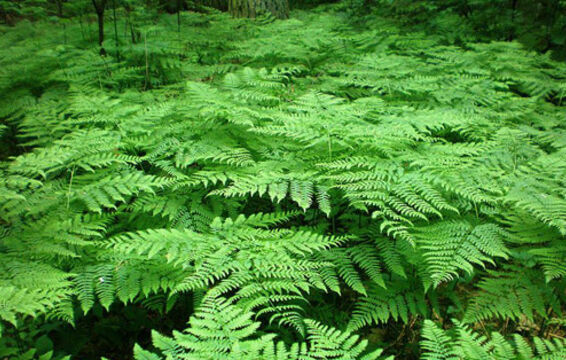 Bracken can be encouraged by burning, resulting in the release of potash and other nutrients. Bracken is present at all densities from scattered fronds in dwarf shrub dominated communities to thick mono-dominant beds. Molinia is usually a constant in these communities. 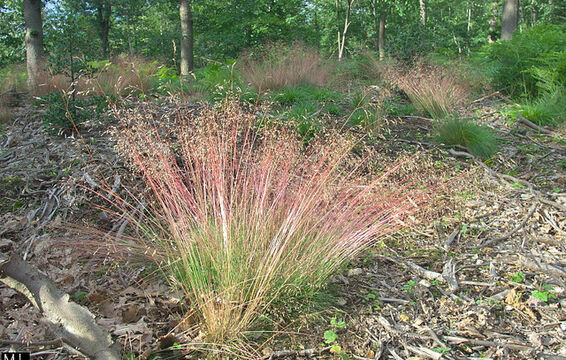 It is a tussock forming, deciduous grass, losing most of its leaves in the Autumn. These remain around the base of the plant, forming a thick thatch of undecayed vegetation, which suppresses other vegetation. This makes Molinia stands difficult to access on foot and results in a high fire risk when dry. The grass itself tends to grow in areas where there is well aerated groundwater rather than in stagnant groundwater. It can also grow up through other vegetation as an isolated shoot.